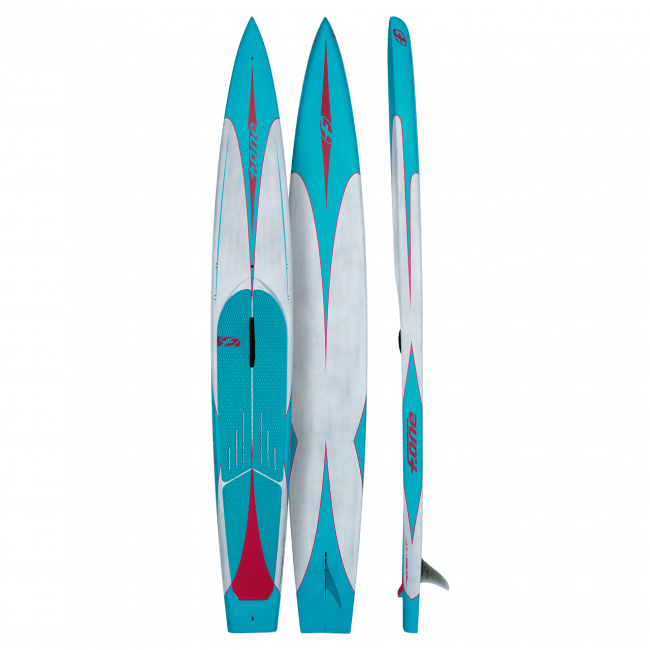 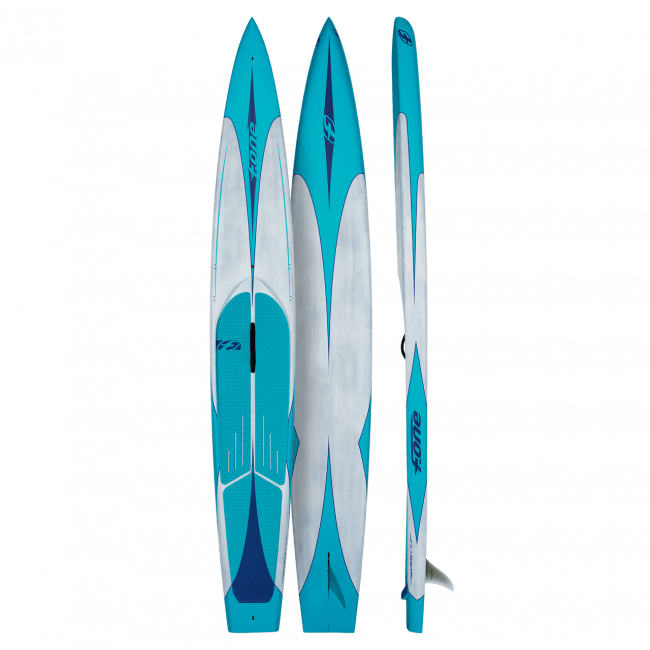 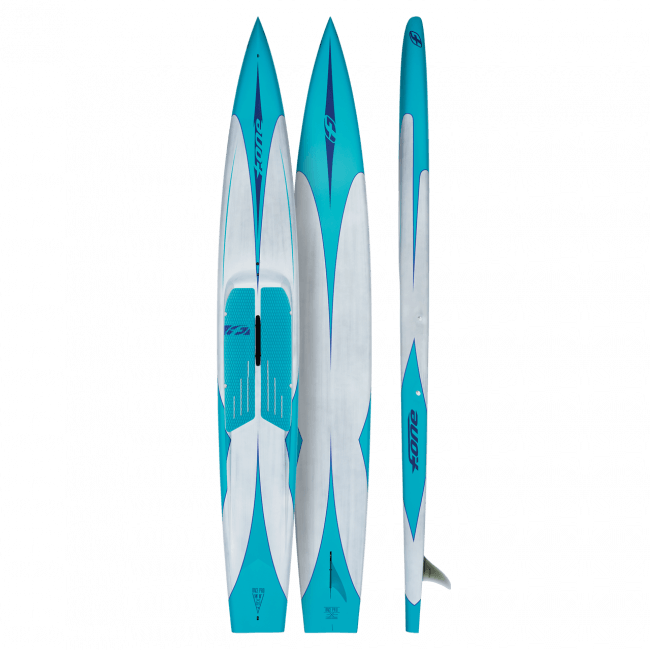 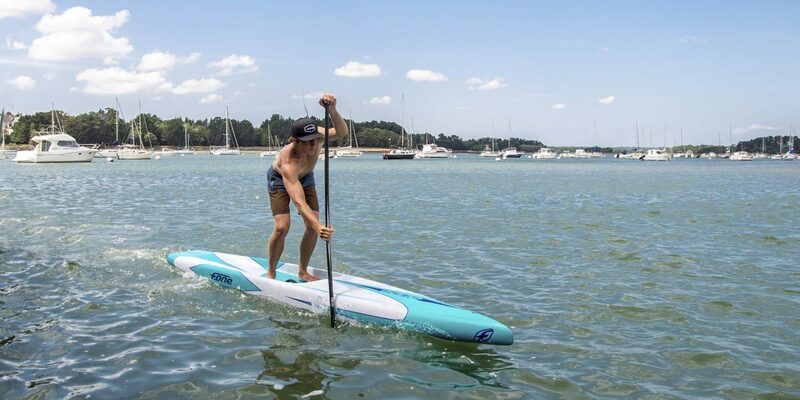 Available in 14’x22’5″ size, the 14′ FlatWater is the ultimate speed machine that is exclusively designed to perform on flat water courses. 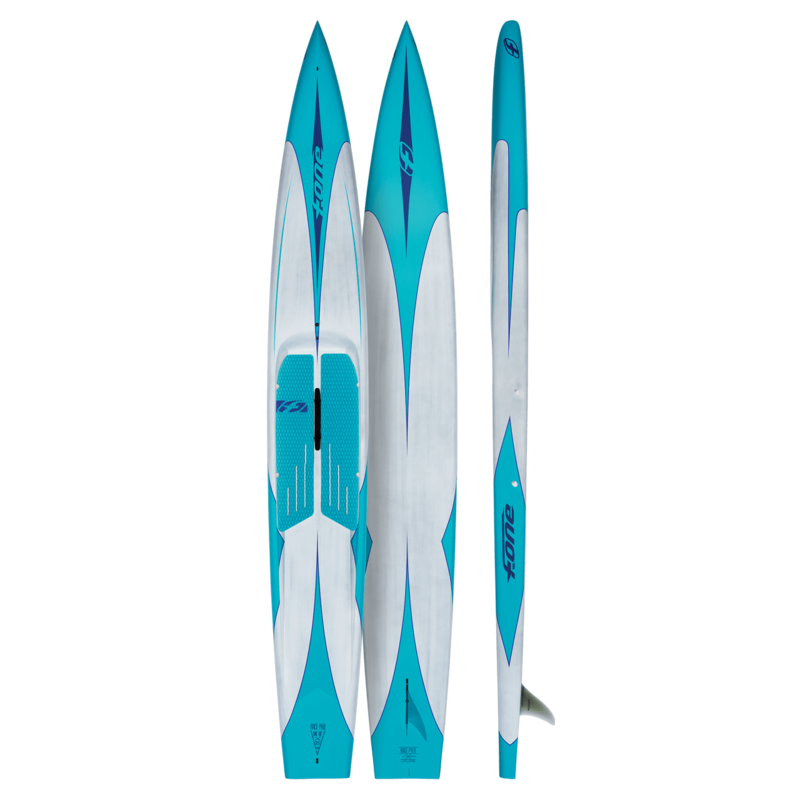 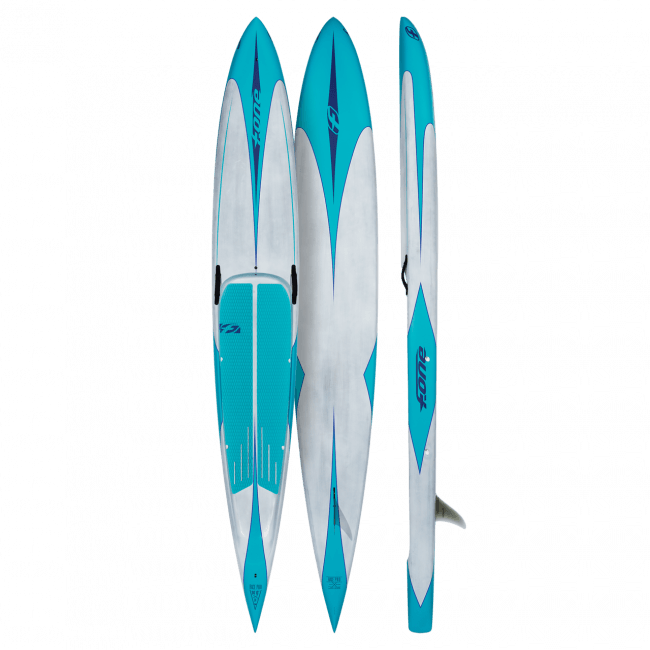 With an all new design for 2019 with a deeply recessed cockpit to maximize stability, its straight rocker line and reversed bow nose provides maximum glide and speed. 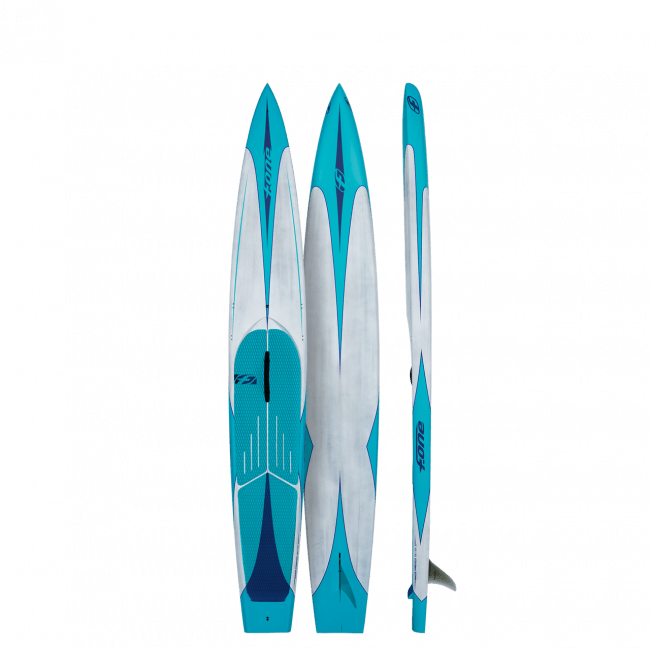 The flat bottom offers a very dynamic behavior while the progressive concave from mid way to the tail improves the release of the flow. 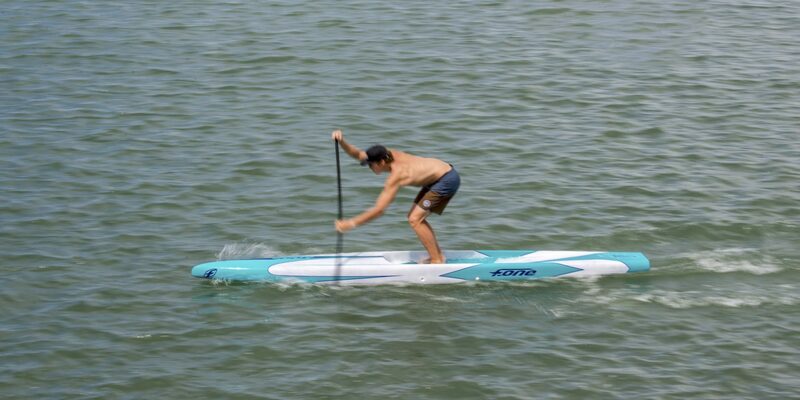 The outline remains parallel along way to the back to allow impressive stability for a 22’5” wide board.